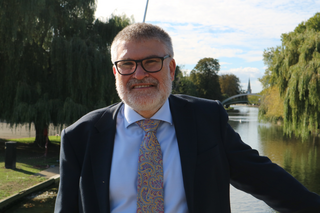 In a huge boost for local schools, Mayor Dave Hodgson has announced a victory for the campaign against the shock government funding cut for Bedford Borough's schools. Extra funding has been secured from the Department for Education, which will maintain the per-pupil funding rate for Bedford Borough's Schools for 2019/20. Bedford Borough schools together had been facing a cut of £1.3million at the hands of the Conservative Government. This shock reduction was despite promises of a new national funding formula putting right the underfunding of local schools. However, following a campaign by Mayor Dave Hodgson and local Liberal Democrats alongside schools, parents and others and an intensive lobbying effort, the Government has now agreed to provide top-up funding for 2019/20 to hold per-pupil funding at 2018-19 levels. "However, it's important to note it only returns our schools to a stand-still position when funds are already very tight. We'll keep working to protect our schools and other hard-pressed local services from damaging Government cuts." Education Portfolio Holder Cllr Henry Vann added: "Schools are already under massive pressure from national funding cuts, but the Conservatives had planned an additional cut on top of all this. This win is great news for children, local schools and our local communities."